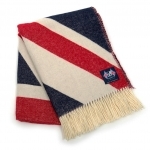 Rule Brittania......The British are coming, whether you own a British car, you're an ex pat, or you simply love Britain then this throw is for you. 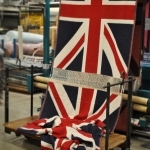 British Made, British Quality, British Design. and 100% Super-soft Luxurious Merino Wool. 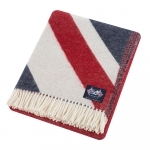 A luxurious and very patriotic throw made from Merino and Shetland Pure New wools, these warm and comforting additions to your home are produced entirely at a single site in Guiseley, West Yorkshire. The raw wool is dyed, spun and woven to exacting detail to produce the finest woolen homeware available anywhere in the world. 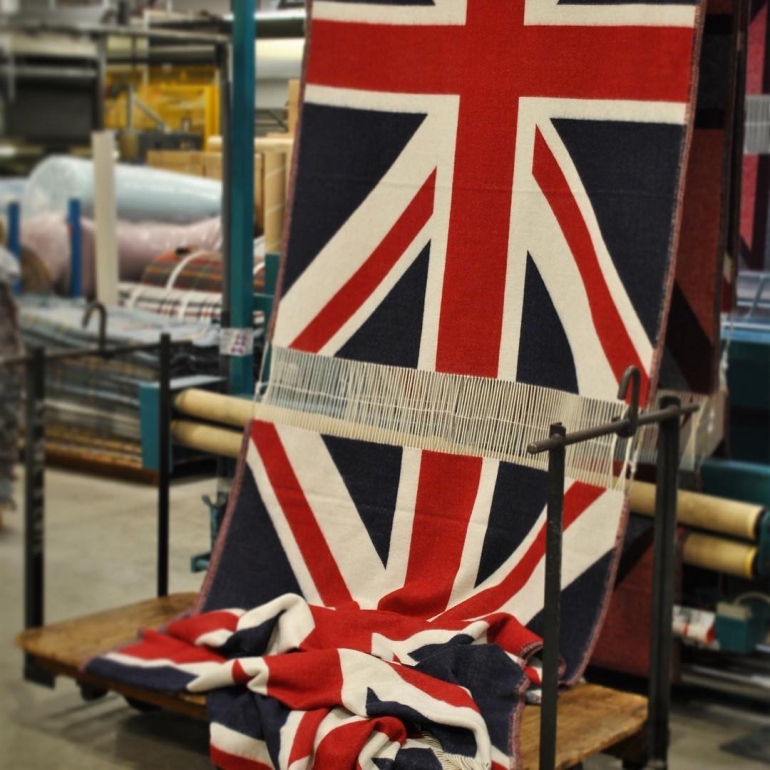 Produced in one of the last vertical textile mills in the UK, the entire manufacturing process is carefully controlled to create the very pinnacle of the historic West Yorkshire wool trade. The mill itself has produced wool for 180 years and every fibre is infused with the heritage that makes for a truly luxury product. PLEASE NOTE: As these throws ship completely for free they will not be included in your basket size calculation and do not count towards the free shipping threshold.